First off, it's a good day for me. Not only am I going to be talking about this Body Fantasies body spray, but I just signed on my Spotify to find that Taylor Swift is back on there. Heck yes. So if you'll excuse me, I'm going to continue my dance party to her greatest hits while typing this post. 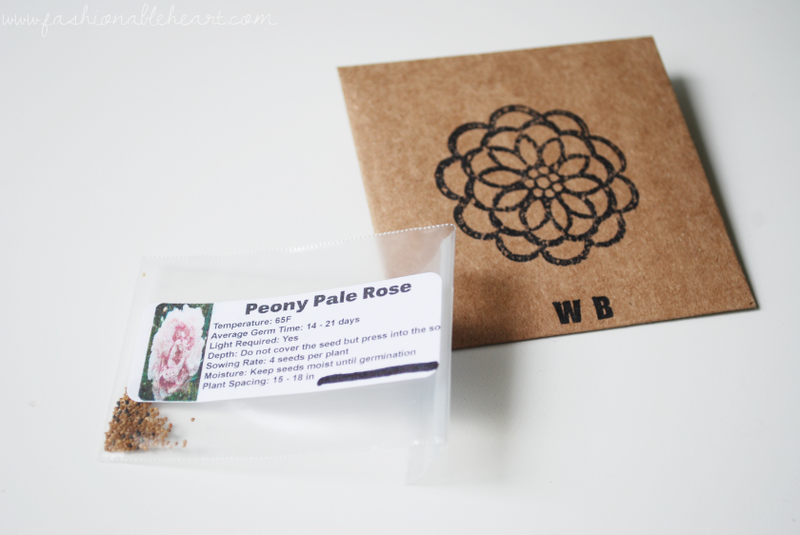 Now here are my thoughts on the Body Fantasies Signature scent in Soft Peony. I remember loving the Vanilla one during my school years and I love when a brand brings back feelings of nostalgia. That's always a plus! This was delivered to me in the cutest packaging. With the little tin pot and a packet of flower seeds as an added little bonus. My green thumb is non-existent, so I'll have to have my MIL help me plant them. She has a powerful green thumb that will hopefully make up for my lack of one! Seriously, I'm pretty sure that I can kill a plant just by looking at it. I keep trying, though. Sorry, plants. So of course, I like to start my reviews by talking about packaging. The spray is in such a lovely purple bottle. I was a little worried before taking the cap off, because floral scents are very hit or miss with me. But this one smells amazing. A hint of floral, but the fruity scents come out too and make this a real winner. With notes of peony, violet, wisteria, apple, sweet melon, and raspberry, they all balance each other out and work well together without competing. It's a strong scent, so a little goes a long way. Also, it lasts a good while. Some body sprays don't last through the day, but I've had luck with this one not fading away. If it's a longer day, it's easy enough to throw in your bag. The lid has a nice snap, so the risk of a leak is slim. I can see this being a scent that I reach for a lot this summer. It's perfect for sunny days! You can buy this new scent and all of the other Body Fantasies products at Shoppers Drug Mart in Canada for $8.99 CA. In the States, I know you can find them at Walmart and CVS. **This was provided to me for reviewing purposes. There are no affiliated links in this post. All pictures and thoughts are my own.